1.This LED Mohawk wig is sure to make you stand out! 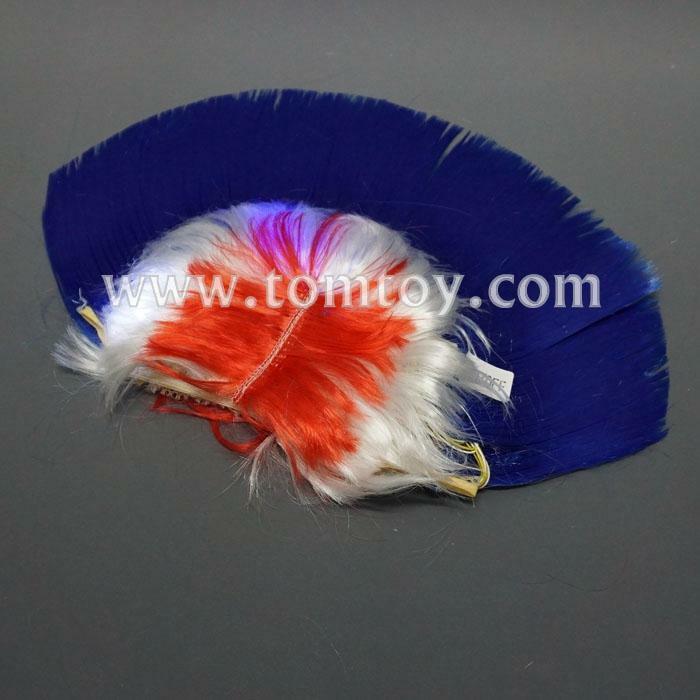 2.With 2 red 2 blue 2 white LED lights inside of the patriotic mohawk, you can accessorize any celebration or 4th of July. 3.Turn it on/off by pressing a button. Batteries are included and installed. 4.Wig color can be customized. 5.One size fits most. Each polybag contains one LED mohawk.